The Columbia University Libraries has recently acquired a database of 400 digitized Yiddish books from the Hebraica and Judaica of the Tychson Collection at the Rostock University. "The nearly 400 titles of this edition offer a cross-section of the history of Yiddish books up to the 19th century. There are numerous rarities and unica, including the first Yiddish printing, Mirkevet ha-Mishne, Krakau 1534. Among translations and paraphrases of the Bible the collection contains the Konstanz-edition (1544) as well as translations by Blitz and Witzenhausen. Three of the existing editions of the Tsene-rene (Frankfurt a.M. 1685, Sulzbach 1702) were first discovered in Rostock, and the third of those (Fürth [Pseudo-Amsterdam] 1761) is apparently to be found nowhere else. One of the rarities among the prayer-books is a Hebrew Siddur. It contains Yiddish passages and was published in 1560 in Mantua." 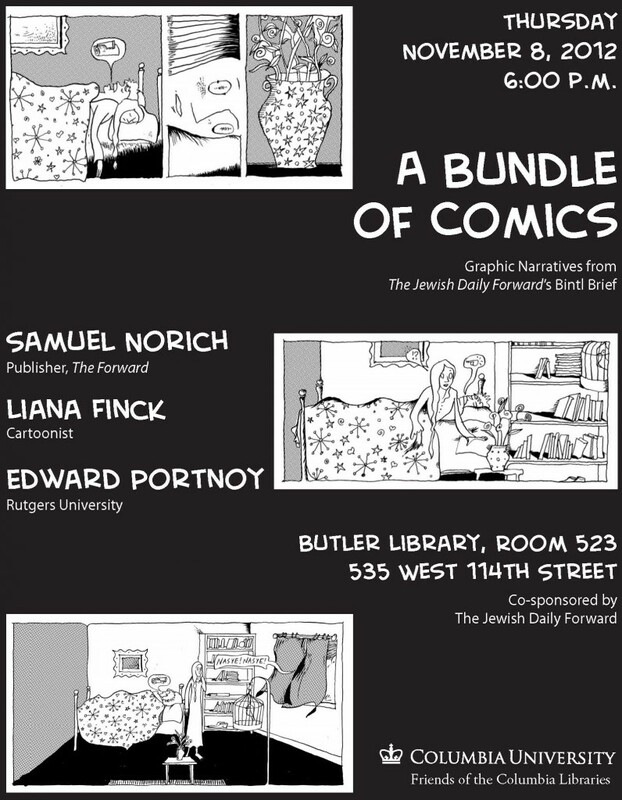 This resource provides access to some of the oldest and rarest printings of Yiddish materials in existence. We will soon be adding records with direct links to each of the titles in CLIO for easier searching. Note: The site is in German. To view a list of titles, go to: http://www.columbia.edu/cgi-bin/cul/resolve?clio10264881, and then click the link for "Titel" after "Die Hebraica und Judaica der Sammlung Tychsen und der Universitätsbibliothek Rostock" in the "Collections" box. You can also search by keyword. To access the PDF, click "Details" under the title that interests you, and then click "PDF" under "komplettes Werk." The link to PDF will then change to "Herunterladen," and you can click that to download the file. This entry was posted in Uncategorized and tagged digital, Primary Sources, Rare_Books, Yiddish on June 27, 2013 by Michelle. Columbia’s Yiddish Studies Program is the oldest in the country, beginning in 1952 under the direction of renowned Yiddish scholar Uriel Weinreich. 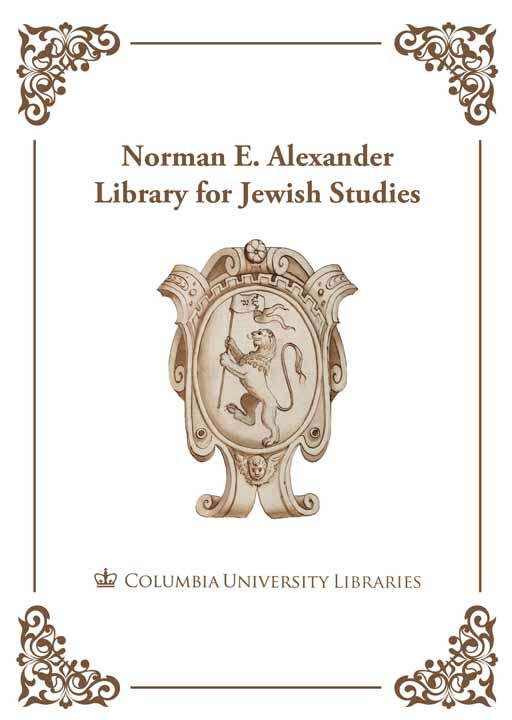 Weinreich’s student, Marvin Herzog was one of the major figures in the creation of the Language and Culture Atlas of Ashkenazic Jewry (LCAAJ), whose archives are held at Columbia. In terms of historic Yiddish manuscripts, Columbia has a 19th century Purim Shpiel, a funeral ceremony from 1813, some legal documents and discourses, and letters. A purchase in December 2011 of a manuscript of unpublished plays from Avrom Goldfadn, known as the “father of Yiddish theatre” was a wonderful addition to our collection. 3) Fier Por Porcelain Teller. Ikx, Mikx, Drikx is a particularly amusing comedy, about a father trying to find a match for his three daughters. The manuscript passed through Odessa, and includes a date of September 14, 1879. There is also a censor’s stamp in the manuscript. As far as we know, these plays were never published. 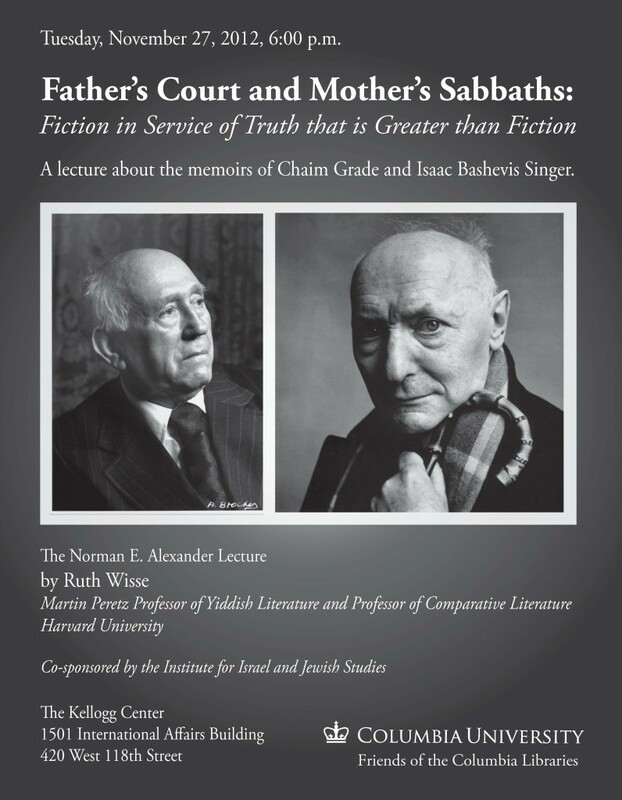 Other New York collections with Goldfadn materials include the YIVO Institute of Jewish Research, which holds a Goldfadn archive, and the New York Public Library, which includes some Goldfadn materials in its Tomashevsky Collection. 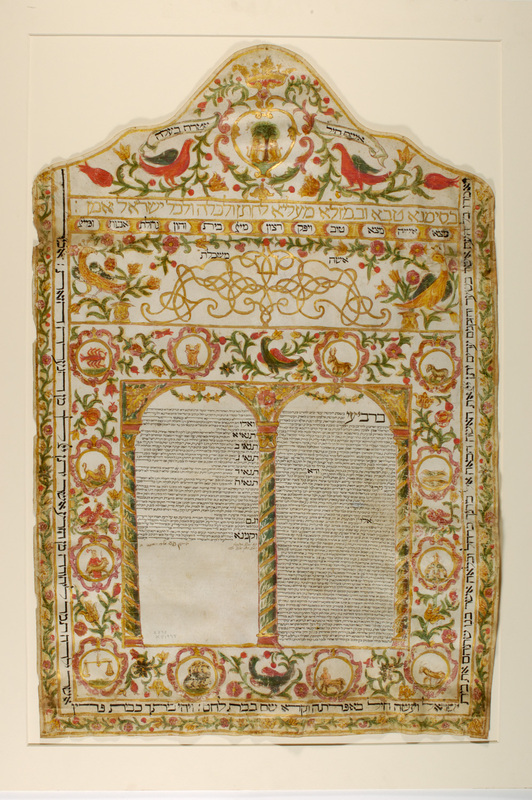 This entry was posted in Uncategorized and tagged censors, Goldfadn_Avrom, Hebrew_mss@cul, Primary Sources, theatre, Yiddish on February 28, 2012 by Michelle.